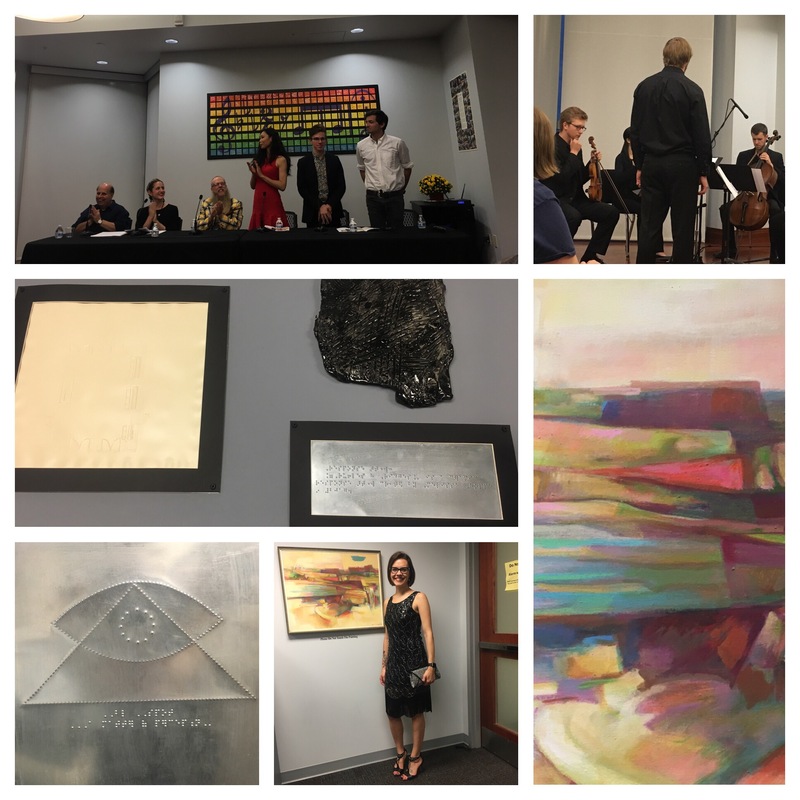 Last week I had the pleasure of attending an amazing collaboration between Massillon Museum, Cleveland Institute of Music, and both local and national artists. What prompted the collaboration? How do the visually impaired get to experience art?The Zimmermann Symphony Center hosted the beautiful display, panel discussion and performance on September 19, 2017. Canton Symphony Orchestra string quartet did a fantastic job playing the original compositions by three composers from the Cleveland Institute of Music. Luckily if you didn’t get to attend this exciting and innovative evening there is still time to see the art. The Zimmermann Symphony Center will have the paintings, sculptures, and interactive sound displays available to visit through October 13. This one of a kind exhibit is something you’ll definitely want to see!